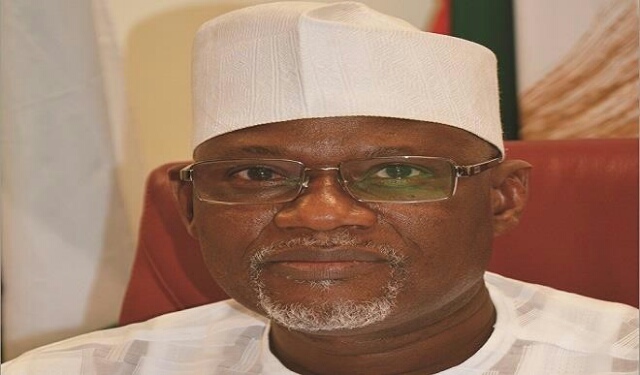 The leadership of the factional All Progressives Congress (APC) in Kaduna State has narrated how its Chairman, Alhaji Danladi Wada was abducted and forced to sign documents before being released. The APC’s factional chairman who was reported missing last Saturday by his family members, was found in Zaria. Major Yahaya Shinko (rtd), Director of Administration of the factional party said the party leader was released by his abductors in Zaria at about 5:30a.m. on Sunday and taken home by a friend. “His abductors released him, and we took him to the hospital for blood test. He has high blood pressure and the bread and water his abductors gave him, may be poisonous, we don’t know, we want him to run medical test. “We went to the police headquarters together and he has narrated his ordeal to the police, I was there and I can tell you everything,” he said. Narrating how the chairman was abducted, Shinko said, “after the prayers, at about 6am as Wada was heading back home, he was approached by somebody wearing a white agbada. “The man saluted him in usual Hausa culture, he answered and suddenly the man removed a pistol from his side pocket and pointed to his chest and ordered him into a waiting vehicle – a Sienna. “There were about six people waiting in the car.They put him at the back seat, sandwiched by two of his abductors. “After the car moved some metres away, he sighted about three rifles in the booths of the car. “One of his abductors asked him why he was looking back? The leader of the gang ordered that his eyes be blindfolded,” Shinko said. “He was taken into a compound and kept for sometime and around 1p.m, they asked him whether he would pray after they had performed their prayers. It was then it dawned on him that his abductors were all Muslims. “At about 1a.m. on Sunday, they fired about four gunshots in the air, then they brought plain papers to him and asked him to append his signature. “He said at that time they had removed the blindfold on his eyes, but because he was blindfolded for too long, he couldn’t see clearly . “He told them that he cannot append his signature on any plain paper. He told them to write something and he will sign it for them. “When he insisted that he will not sign a plain paper, they went out and in the process of their conversation he overheard some of them saying that after all what they are doing, Mr. (name withheld) may not even recognise their efforts. “When they came back to meet him, they told him that they had written something and asked him to sign. “At the end of the day they forced him to sign three documents,” he added. Shinko said they had wanted him to denounce his ‘chairmanship’ (factional) of the APC in Kaduna. They said he should sign that he had withdrawn his membership of the APC and that he was no longer interested in politics. “They said if he cannot sign, he should allow them to record his voice, telling the world that he had resigned from being the ‘acting state chairman’ of the APC Kaduna for peace to reign. “So he refused to allow them record his voice. But they took his signature. We have told the police that whoever presents his signature anywhere, that person should be considered as the prime suspect. He added: “They took him out around 5:30a.m. yesterday and dropped him after the College of Aviation in Zaria and that was when he realised where he was. Shinko alleged that the abduction of Wada was politically-motivated. According to him “the political crisis in the APC in Kaduna State had led to the demolition of two houses by the state governor. “The first house was owned by the Zonal Chairman of the APC in the North-west, Alhaji Inuwa Abdulkadir, and the second one owned by Senator Suleiman Hunkuyi,” he said. He added that the other faction of party loyal to Governor Nasir el-Rufai and his own faction of the party had conducted their separate primaries for the local government elections slated for May 13, 2018.